Lignocellulosic biomass is one of the most abundant raw materials in the world, and it is mainly composed of carbohydrate polymers (cellulose and hemicellulose) and lignin. Its applications vary from the production of pulp and paper, to the most recent plant-based bioethanol production, which has challenge due to low hydrolysis conversion rates by the inherit recalcitrance of biomass. The biomass is naturally resistant due the high complexity in the component organization and interaction in the cell wall. The application of pretreatment technologies is one of the most used strategies to overcome biomass recalcitrance. These techniques often require a catalyst to modify the lignocellulosic structure which can be acids, alkaline compounds, ionic solutions, organic solvents, and even pressurized steam among others. The type of catalyst dictates the name of the pretreatment involved. 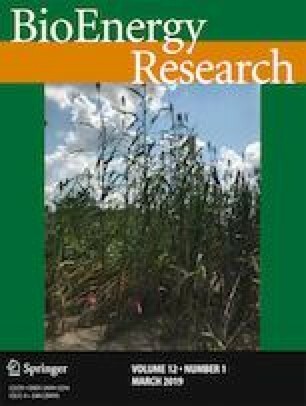 This work presents an overview of these strategies, along with some recent contributions from the scientific community to improve biomass conversion technologies. The discussion is focused on the key factors related to the recalcitrance and conversion process, as well as the composition and physicochemical properties. This study is financially supported by the Brazilian Council for Research and Development (CNPq, process 401900/2016-9; process 401000/2016-9) and the National Institute of Metrology, Quality, and Technology (Prometro grant number 550105/2012-8).